The inductee’s tie featured names such as Trayvon Martin and Tamir Rice. 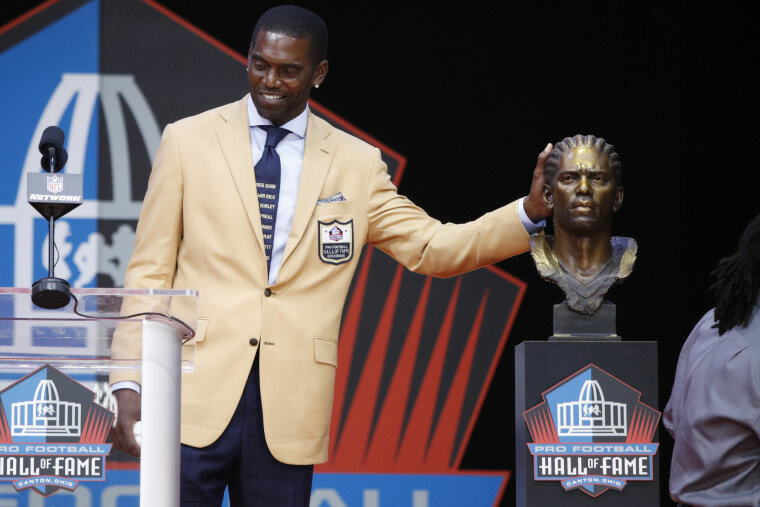 Randy Moss used his platform at the Hall of Fame ceremony in Canton, Ohio on Aug. 4 to make a statement. The new Hall of Fame inductee wore the names of several African-Americans who have died during interactions with police on his tie during the ceremony. While some of the names were obscured by his jacket during much of the ceremony, an interview with the NFL Network revealed a closeup look at the tie and Moss' motivations for wearing it, according to USA Today. Moss' tie honored Trayvon Martin, Sandra Bland, Tamir Rice and Michael Brown and more. During his time in the NFL, Moss played for the Minnesota Vikings, Oakland Raiders, New England Patriots and San Francisco 49ers as a receiver.